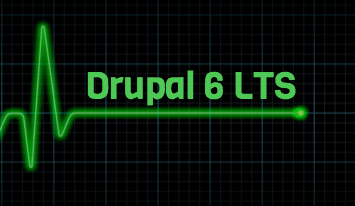 Getting Ready for Drupal 6 LTS? “End of life” means that software, in this case, Drupal 6, is passé. On February 24th, Drupal 6 EOL takes its course. Although Drupal 6 LTS options have arrived, as far as the vendor is concerned, it’s time to move on to greater things. Drupal 6 won’t be supported by the larger community, meaning creating new projects, fixing bugs, writing documentation, et cetera, won’t be commonplace anymore. Core commits on Drupal 6.x will grind to a halt. The security team will no longer provide support or Security Advisories, and all D6 releases on project pages will be flagged as unsupported. The sensible policy of the Drupal community is to exert time and energy that supports current and stable versions of Drupal (e.g. when D6 came out, D4.7.x was marked unsupported, when D7 came out, D5.x was marked unsupported.) It’s a policy that was created to prevent core and module maintainers from juggling more than two major active versions. Drupal 6 is almost eight years old; it first made its debut in February of 2008. Now that Drupal 8 has arrived, mobile first and global ready, D6’s time has come to fade out. What’s covered in Drupal 6 LTS? Not much. The Drupal Security Team will provide ways for collaboration in the private security issue queue to continue developing updates. If servers aren’t upgraded by the hosting provider or your IT team, Drupal 6 sites will still run. But if the service providers upgrade to the latest versions of PHP, decision makers will need to find an organization willing to provide specialized, extended support to work with updated PHP/MySQL versions. But if the service providers upgrade to the latest versions of PHP, decision makers will need to find an organization willing to provide specialized, extended support to work with updated PHP/MySQL versions. As of 14th Aug 2014 - PHP 5.3 official support has ended, and PHP 5.4 support ended four months back. cPanel providers will end support for PHP 5.3 soon (like they did for 5.2 in the last quarter of 2013). What if I need to stick with Drupal 6? For example, there are E-Commerce systems tightly coupled with other 3rd party systems like Posten or Liferay, or other D6 systems running with PHP applications built on other frameworks or PHP versions that aren’t compatible. Some organizations have multiple applications built on top of D6, like mobile apps, JAVA, or .NET desktop apps. It’s all about the costs of upgrading in both time and money. Here’s the thing, though, decision makers that opt for Drupal 6 LTS will see some serious hikes in D6 maintenance costs. The Drupal Security team will announce a list of agencies willing to provide this custom support, but all this does is avoid the inevitable. What am I risking by sticking to Drupal 6? Everything. Nothing good will come from holding with an unstable platform soon to be over eight years old; this is a dead end. Costs for custom support will only continue to rise, and dynamic new developments, relevant to your organization, will pass it by. While figuring out the total cost of a D8 project is the primary concern for some, there are certainties. In the short-term, the Drupal 6 LTS option will be a hassle that comes with a price tag; in the long-term, D6 will prove to be ineffective and overall irrelevant. Some are scared of the newness of Drupal 8. There are bound to be some bugs in the beginning (so it is with any release). The difference is thousands—really, thousands—of community members will be rushing to address each and every one. Drupal 8 will be supported for years to come by a community eager to watch it soar. There are tons of reasons to get into Drupal 8. It’s more than a dynamic CMS, and competitors know this. With D8, you’re setting yourself up for a decade of relevant solutions. To name a few: you’ll find a WYSIWYG in core, a new theme engine (TWIG), and better security—direct D8 access isn't possible in template files now, plus there’s a proper segregation of layers. It also comes with the power of HTML5 and mobile from the get-go. Configurations are possible within the file system (along with the variables system) and there exist better performance and caching mechanisms. The power of Symfony MVC comes with the backend, API’s for content management are easy to expose, and image styles are responsive. Drupal 8 has a bright future with PHP 7 beta and does great with PHP 5.6 with its numerous bug and security fixes, features, and other updates. There’s new support for HTML5 browsers, newer versions of jQuery and a lot more libraries. Overall there’s better site management using the command line tools, and an increase ease in maintenance. And on a fun side note, MySQL now supports a format which allows storing of emoticons and smileys (with 4 bytes); impossible in UTF8. Migrate support for Drupal 6 to Drupal 8 is already in core, and there is Migrate UI, a contributed module. Upgrade to Drupal 8, before D6 reaches its inevitable end.